The United States remains a Nation of Immigrants. American immigration laws continue to welcome those who seek a better life or who flee persecution and oppression. Yet these laws are increasingly complicated and often administered harshly. This book describes the various ways to obtain a green card—through family, professional skills, jobs, religious occupations, investments and asylum—with practical insights and advice. 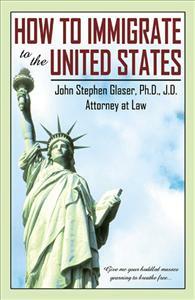 The author discusses how to obtain U.S. citizenship and how to secure reliable immigration advice. Not a book of forms or a list of government addresses but a one on one meeting with experienced counsel providing practical advice.